2011 brought a good amount of traveling, although far too bunched up for my taste. Why can't the Goddess space out my trips better? Let's look back at where I went and what we learned, shall we? 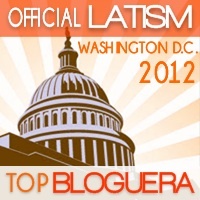 Washington, DC: FOUR, four trips to our nation's capital this year! All for wonderful reasons, so who can really complain? 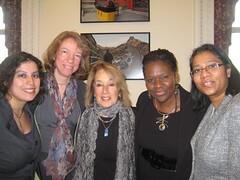 In January I zipped off with my coworkers to accept an award at the White House. We spent five days in DC in a lot of meetings with a lot of other people who are dedicated in our shared mission to increase the diversity of scientists and engineers in the USA. I returned in March for a grantee meeting. I stayed at the Omni Shoreham Hotel which was like a museum. It had all these amazing displays about the building's history. I was fortunate that a few of my DC friends trekked over to Open City for dinner one night. I stopped by another time just to grab tea & a muffin. I also got away one night and walked over to Adams-Morgan and hit Idle Time Books, then had dinner at Mama Ayesha's. Which is ironic since I live near a lot of Middle Eastern restaurants and rarely go. It came highly recommended and I wasn't disappointed. 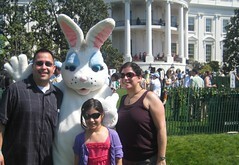 The whole family came back to DC in April for the White House Easter Egg Roll. This was not connected to the award in January, rather a wonderful gift from a friend. If you get a chance to attend, you really should. It is amazing. We got one of the early slots and thank goodness because it was a hot day. The White House staff and volunteers did a bang up job at corralling all of us in and out of the official area within the allotted time. We even got to hear the First Lady and President Obama address the crowd, then spot the whole First Family as they walked the lawn. We did a lot sightseeing in the small amount of time we were in town. A new tradition, for myself and the family, is to eat at least a snack at the National Museum of the American Indian. It's a beautiful museum (not only because one of my dear high school friends worked on the exhibits) with an equally beautiful cafe. Tamles, buffalo burgers and fry bread! 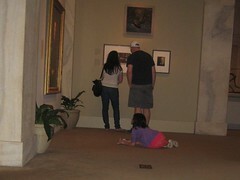 On a whim, I had us jump into the National Portrait Gallery. OMG, one of the best snap decisions EVER!You can see the kid curled up on the floor sketching a portrait of President Theodore Roosevelt. My fourth trip came at the end of November where I stayed in Crystal City, which is this oasis from the intensity of the district. It's close enough to get work done, but far enough that one isn't overwhelmed by the energy that makes up DC. The unnamed, but "top" hotel won't be named because they fail to provide their guests with complimentary wifi, even in the lounge areas. When asked about it, I was given a mini-lecture on how "at *company's* hospitality school, free wifi is a thing of the past. The only reason anyone would stay at a Holiday Inn would be for the free wifi." On the upside, I did have a few friends trek their way to said hotel for drinks when I arrived. I love getting different friends together when I travel. It's almost like having a mini-summit on feminist issues. We talk kids, family, partners, schools, environment, mothering, science/technology, foreign affairs. We cover a lot of space in a short amount of time. Feminists are efficient! Before I left town, I did grab my carry-on and headed into the district to visit the newly rehabbed Sewall-Belmont House. 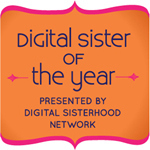 I believe the only other time I had made it there was in 1999 for a Women's Leaders Online one-day conference. Oh, how the house has changed! 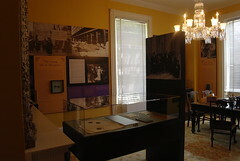 If you are visiting, you must take the time to stop in there to see the fab exhibits that tell the story of the women's rights movement in the USA from suffrage until today. There are also some exhibits on international women's rights. I was on a tight schedule and was able to get through the museum in about an hour, but I'd recommend two so you can really take in the history. The best part? There is a recreation of the lobbying cards the suffragists kept on the US Congress. You can flip through index cards with the names of U.S. representatives, their stance on suffrage and any comments that they gave suffragists. Which are ASTOUNDING and sadly still hear from the lips of far too many people today. As for the airlines I traveled...Southwest still wins as best carrier. And while it may its issues, Midway will continue to win for best food as long as I arrive early enough to get egg & potato tacos at Lalo's. Although at Dulles, Vino Volo is fast becoming a favorite place to grab a bite to eat. I will note that none of the companies, stores, restaurants or otherwise commercial entities asked me to review them, paid me or whatnot. This is just a summary of my travels from 2011. Next up...everywhere else I traveled this year!